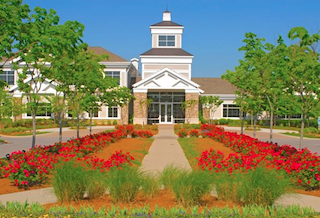 The 24,000 square-foot clubhouse at Lake Providence offers fantastic amenities and exciting social activities. A spacious clubhouse, beautiful homes and a 15-acre lake welcome active adults to Lake Providence. This 1,029-home community was designed to support an active lifestyle with dozens of social clubs and an exciting line-up of resort-style amenities. Lake Providence also enjoys a prime location in Mount Juliet, Tennessee, just 17 miles east of Nashville. Lake Providence was opened in 2006, by Del Webb, with plans for 1,029 homes in both attached and single-family styles. Over the years, the community has developed to include a spacious clubhouse and lush grounds dotted with outdoor recreations. Residents appreciate Lake Providence's close proximity to Nashville's world-famous music scene and varied urban attractions as well. Nestled beside a 15-acre fishing lake, The Club at Lake Providence is a 24,000 square-foot facility which offers an exciting mix of amenities. Residents can enjoy friendly conversation in the clubhouse lobby's fireside lounge, express their creativity in the arts and crafts studio, or play a round of cards or billiards in the spacious game room. There is also a multipurpose ballroom which is ideal for many different events and activities. Healthy living is attainable for Lake Providence residents with access to a state-of-the-art fitness center. 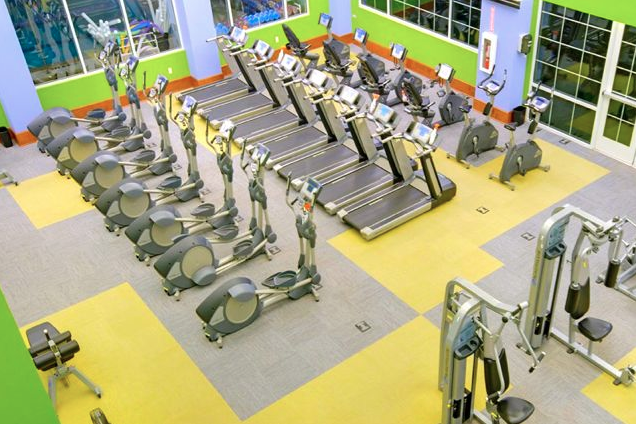 When it comes to staying in shape, The Club's state-of-the-art fitness center features cardiovascular and strength-training equipment, as well as an aerobics and dance studio, an indoor walking track and an indoor lap pool. During the warm summer months, the outdoor resort-style pool is a great place to cool off with a swim or soak up some sun. Residents can also stay trim staying active on the tennis courts, pickleball courts, bocce ball courts and a half basketball court. Additional outdoor amenities encourage residents to make use of the beautifully landscaped grounds. A canoe and kayak launch lets residents enjoy the large lake, and an outdoor amphitheater offers space for a variety of performances. There are also parks and natural spaces, five miles of walking and biking trails, and a playground for visiting grandchildren. Homes at Lake Providence are offered in both single-family and villa townhome designs. Single-story villa townhomes range in size from 1,205 to 1,393 square feet. Each model features two bedrooms, two full bathrooms and an attached two-car garage. The largest floor plan also has a separate den. Homebuyers who want more space may prefer the single-family homes, which are sized from 1,244 to over 2,500 square feet. Single-family homes typically include two to four bedrooms, two to three bathrooms and two- to three-car garages. Some models have the choice of a den or additional bedroom. With a fabulous setting in the suburbs of Nashville, an inviting clubhouse and a diverse line-up of homes, it is easy to see why Lake Providence is an appealing destination for active adults aged 50 or better.